Give us a “leg up” and we’ll do the same for your business! 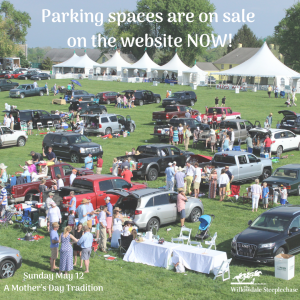 Join the Willowdale Steeplechase as a partner in supporting our beneficiaries and our community. 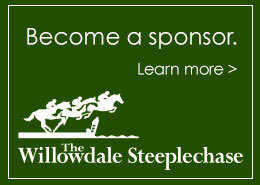 When you donate $500, your business will be listed in our Race Day Program and on The Willowdale Steeplechase web site. We will mention your business as a Friend of Willowdale on an on-going basis as we promote the races on our Facebook page and on Twitter. We will also feature your business on our “Friends Board” in the Landhope Farms Store. This will begin immediately and we will add each new friend to the board as the friend joins us. The sooner you become a friend, the more months of acknowledgement your business will enjoy. The University of Pennsylvania School of Veterinary Medicine’s New Bolton Center and Quest Therapeutic Services. 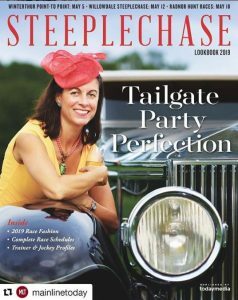 The Willowdale Steeplechase appreciates your support of our efforts and your participation in the local community we all value. We look forward to a partnership that will allow us to assist each other while continuing our common commitment to community. Please contact our Associate Race Director Lisa Hatcher, lhatcher@willowdale.org if you would like more information.